The United States has enough solar energy capacity to power 5.7 million homes. Installing all these solar systems is not a small feat, given that the U.S. solar capacity has grown 17-fold since 2008. The solar energy industry has experienced unprecedented growth, driven by falling solar equipment prices, maturing technology and greater financing options. What lies ahead for the future of solar energy? Certainly, some of this hinges on Trump’s energy plans, but here are our six solar energy trends predictions for 2017. Utility-scale solar projects comprise nearly two-thirds of the total solar energy market in the past few years, according to the Solar Energy Industries Association. Understanding the recent solar power boom requires examining this market. Although the residential solar energy market has experienced steady and consistent growth over the past decade, the utility-scale solar market growth has been nearly exponential. This solar power boom is anticipated to continue through 2017, as there are more than 20 gigawatts of contracted solar projects in the pipeline. Much of this solar energy growth is virtually guaranteed and isn’t reliant on the new administration. In fact, 29 states have renewable fuel standards and numerous corporations have made pledges to use renewable energy. The residential solar industry has changed significantly in recent years. Now, solar equipment is more sophisticated, costs are dramatically lower and there are more skilled solar installers. Industry changes make it difficult for most solar shoppers to stay informed. Unfortunately, some residential solar companies have relied on pushy sales tactics to attract new customers, eroding trust with homeowners. Lack of understanding prevails in the residential solar market, making third-party sources of information vital for solar shoppers to make informed purchasing decisions. 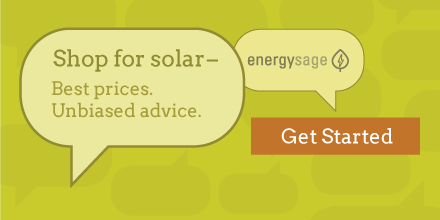 UnderstandSolar is an excellent free service that links solar shoppers with top-rated solar installers in their area for personalized solar estimates. Such services help streamline the solar shopping and allow homeowners to get competing bids, saving money. Trump plans to roll back environmental regulations, paving the way for the increased use of fossil fuels. The lower the cost of fossil fuels, the harder it is for solar and other renewable energy sources to compete. Trump even promised to help revive the coal industry and bring back mining jobs. Lower costs and greater supply of fossil fuels will hinder solar energy’s ability to be cost competitive. To a large extent, however, the growth of solar energy is inevitable. Many people believe that solar electricity is very expensive and isn’t a wise financial investment. Although this may have been true a decade or more ago, this isn’t correct today, especially in states that have reached grid parity. This means that the power your solar system generates is cheaper than what the power company is selling. To date, 20 states have achieved grid parity, according to Greentech Media. California and Hawaii top the list, and another 22 states are expected to reach grid parity by 2020. Solar systems can have a payback period of just eight years but a design life of 25 years. Most solar equipment now includes long warranties, and solar panels even include a performance warranty on electricity production. This is because solar panels tend to produce a little less energy every year. With no moving parts, solar energy systems that do not contain batteries require little, if any, maintenance and rarely need repairs. Now that solar energy is known as a safe, low-risk, high-return investment in many parts of the country, it is much easier to secure financing for a solar energy system. Low-interest loans allow homeowners to install a solar system for as little as no money down, removing the up-front cost of going solar. As financing options for buying a solar system become more plentiful, power purchase agreements are becoming less attractive to many homeowners.